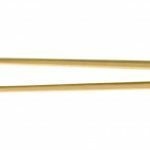 – Easily separated for use, chopsticks are always compatible with Asian style food. The authentic and fun way to eat stir fry, sushi and noodles. – Individually wrapped in a sealed polypropylene sleeve – also includes a pointed & turned Cocktail Stick!